Full HD or Iphone versions of the sketches that you can download and keep. Like, forever. Unless your hard drive crashes. The old sketch show before insert title here. You can download and keep these too! iPhone versions only I’m afraid as they look crap. Thats right…a mug…with quiteenjoy written on it. Only available to the elite. 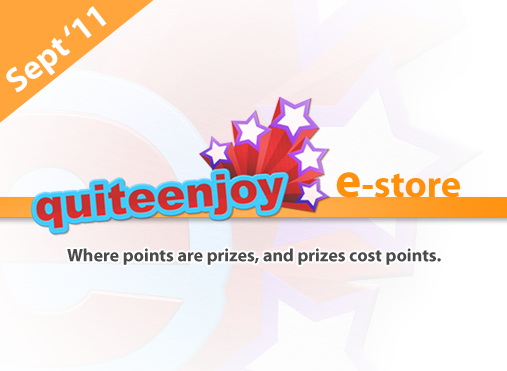 So check it out when it launches in September- and get building those points before hand! And as a little gift from me- you’ve just earned 100 points for looking at this post (if you’re a registered user (make sure you are logged in! Can i do double brackets? F it- I’m going to)). Damn Im nice.